The Chinese Market has always been at par when it comes to launching quality gadgets at convenient prices. 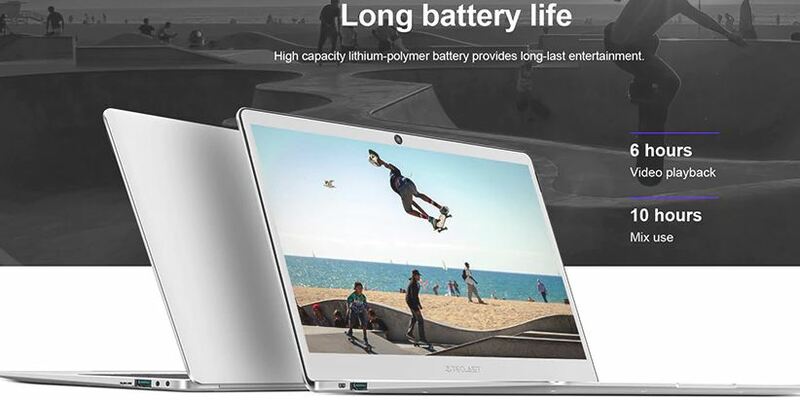 No matter whether we talk about chuwi lapbook, jumper EZ pad or Xiaomi series of laptops, the technical market of China is extremely versatile when it comes to launching a laptop/Smartphone. It is always flooded with all the important features and comes at a pocket-friendly price. 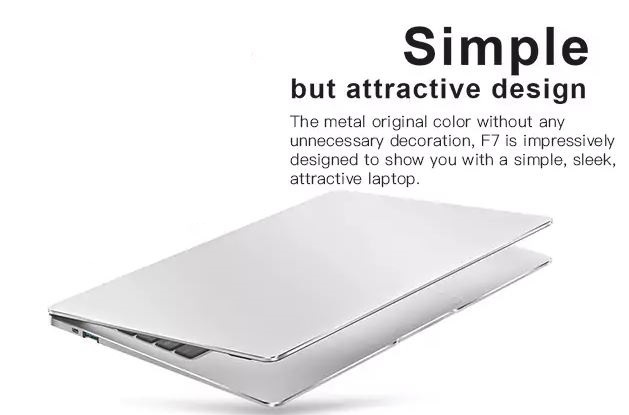 The Teclast F7 design is so premium that definitely not looks economical from its outer appearance. People who have some experience for quality gadgets are definitely going to compare the appearance of Apple’s MacBook Airline device. The device is so handy and easy to carry anywhere you want. The body of the Notebook is made of Metal and Plastic. The keyboard of the f7 is impressive all the key are separated from each other and also have the backlight. So even if you don’t have the proper light you can still work. The total width of the Notebook is 1.35 cm. It shows the slim design of the notebook. The Notebook does have the 3.5mm Headphone Jack, DC Jack for charging, Micro HDMI slot, and 2x USB 3.0 port. 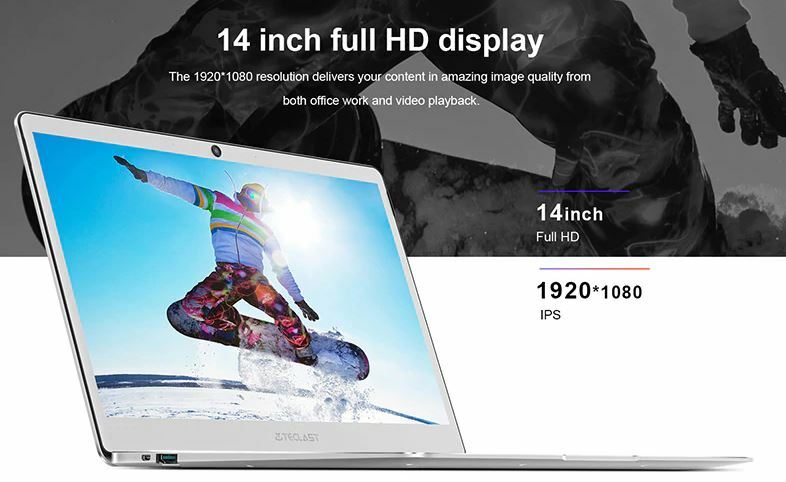 The 14.1 inch IPS display of the notebook offers 1920 X 1800 pixels resolution. The quality of the display is very great and color are more vibrant. The aluminum outer casing and an astounding 14.1-inch screen clubbed with add the main element to the laptop. 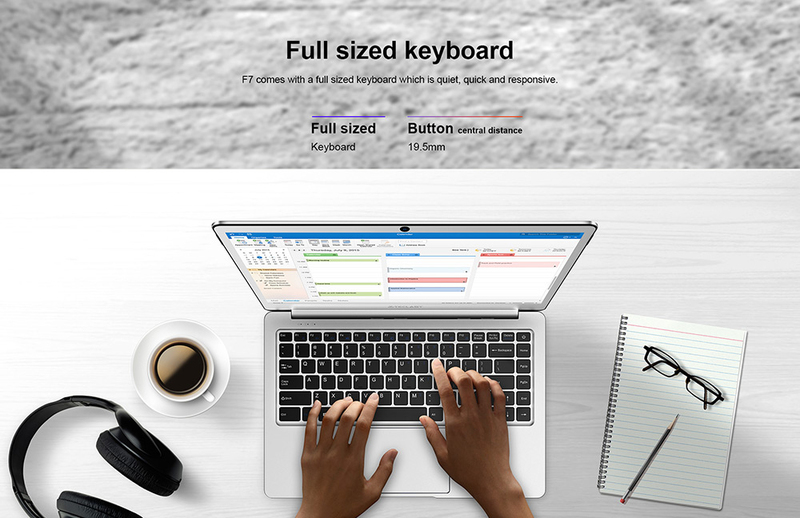 The keyboard is a classical type which allows gestures on Windows 10 home. With overall dimensions of 31.50 x 20.85 x 1.50 cm and an overall weight of 1.23 KG, the laptop embeds all the intricate features and specifications. 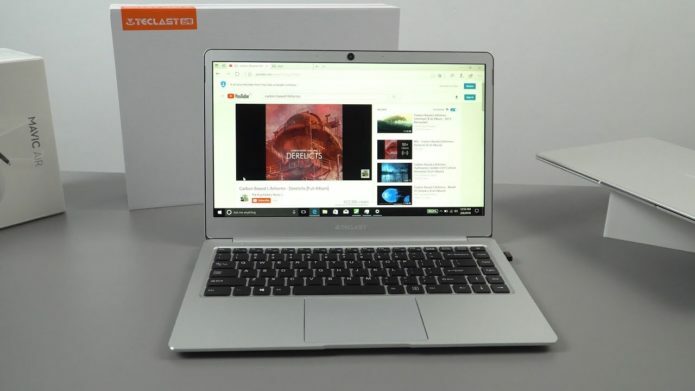 The notebook is running on the Intel Celeron N3450 Quad Core processor. The Quad core provides the clock speed of 1.1GHz up to 2.2 gigahertz. The Intel integrated graphics provide will help you to watch the HD videos. 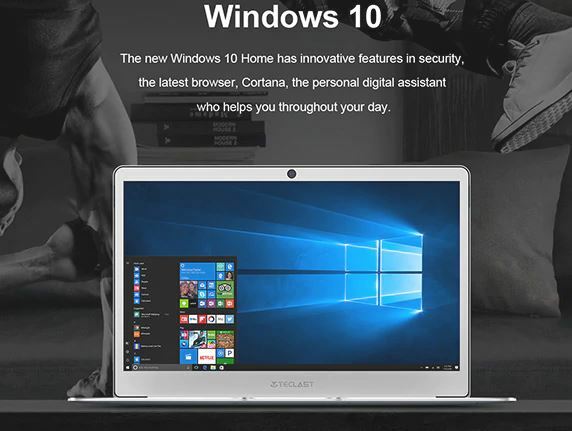 We are very familiar with one operating system that is Windows and F7 is also running on the Windows 10 operating system. The Latest Operating System provides more mobility and enhances the productivity. Let’s not forget about the connectivity part of the device. It has Dual USB 3.0 and micro HDMI support. Also, it comes with headphone jack and a DC port for the charging. On the top of the screen, the company has given 2-megapixel cameras for smart video telephony. The dual microphone helps in noise cancellation and improvise overall voice recording. The speaker of the laptop is placed exactly on the bottom so the noise gets a little-distracted when you increase the volume to 100%. There is no LAN port and DVD writer and who need that. The most important thing in any device Memory (RAM and Internal Storage). 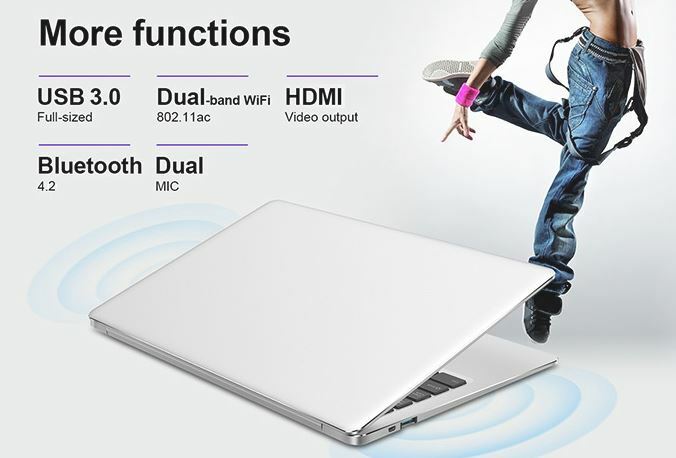 The Teclast F7 coupled with the 6GB Of DDR3 RAM for better multitasking. This DDR3 6 GB RAM provides the high-bandwidth to run smoothly your games, photos, and video-editing applications. There is one thing I would like to clarify that you can not run software like Adobe after effect, Adobe premiere pro. 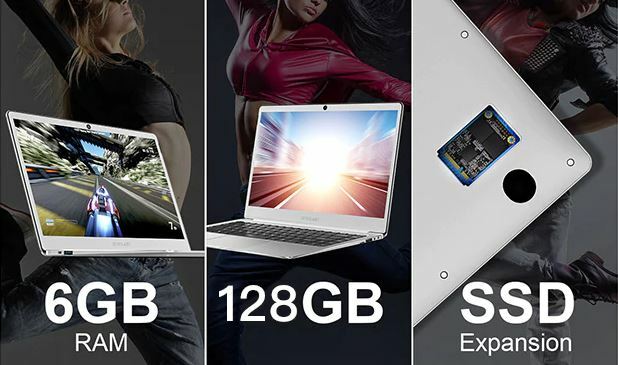 The 128GB of Internal storage of the Notebook is not enough for today generation where you have to store a lot of data, whether it’s regarding your work or personal. The good thing is it has 2 USB 3.0 port which can let you connect the external hard disk. So by adding an external hard disk, you can increase the storage and store as much data you want. 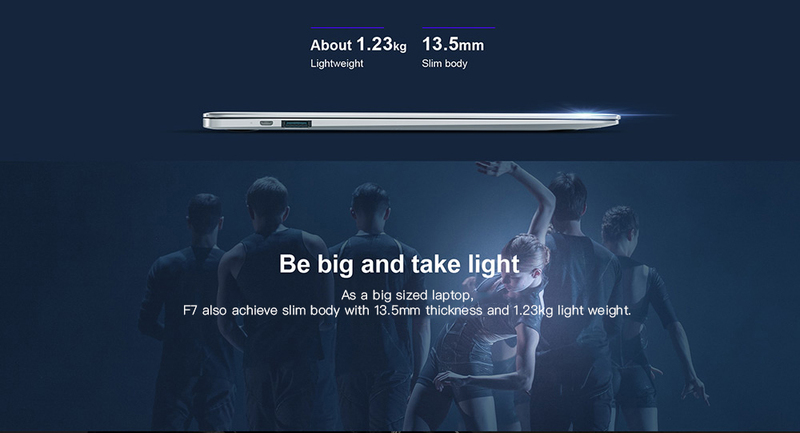 The battery capacity of 4900 mAh gives sufficient power back up to the laptop. It can readily telecast several online videos without showing a low battery level. On using the laptop, we could find it working for 7 hours when we charged it from 0% to 100 %. It roughly took 3.5 hours for the laptop to get 100% charged. The Notebook has an additional feature of power management which tells you the best power mode for your battery, it will automatically reduce the brightness and turn off the backlight of the keyboard so you can get some extra battery backup. 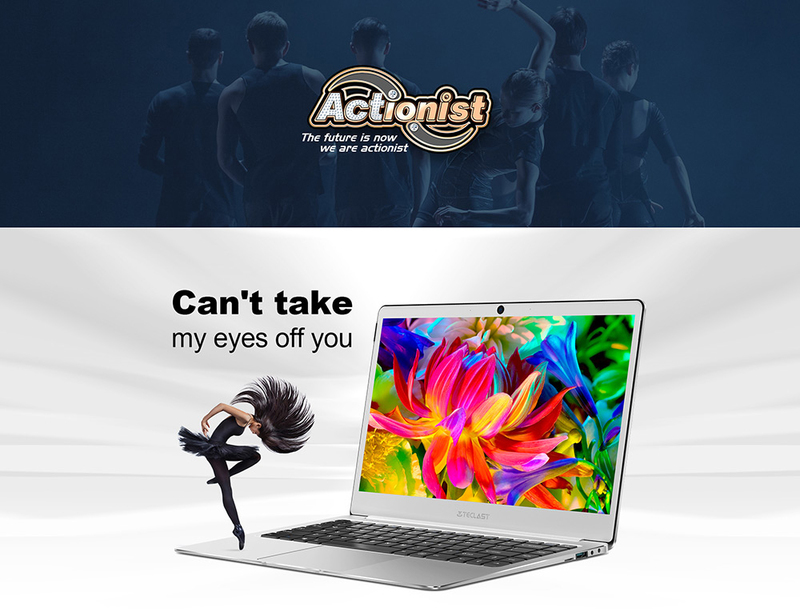 If we talk about the other big brands like Asus, Dell, Acer offers a Notebook something like this then the prices could be around more then $600 but here Teclast F7 is available at $359.99 on Gearbest presale. The 6 GB RAM, 128GB Of SSD in just $359 is not a bad deal.